2015 is practically here; first let me tell you about this year. My six-year-old daughter informed me, back in June, that she is going to be a rodeo clown. 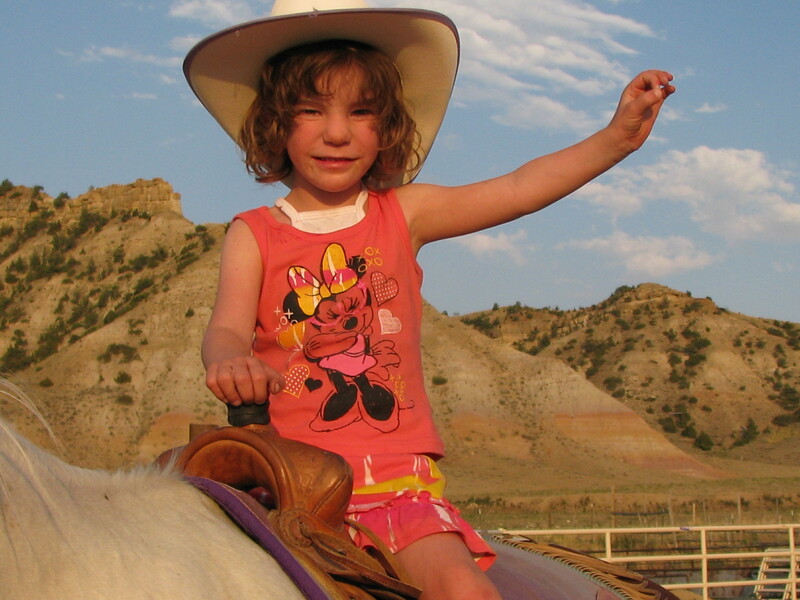 My twelve-year-old, she intends to become a rodeo pick-up-man/woman. 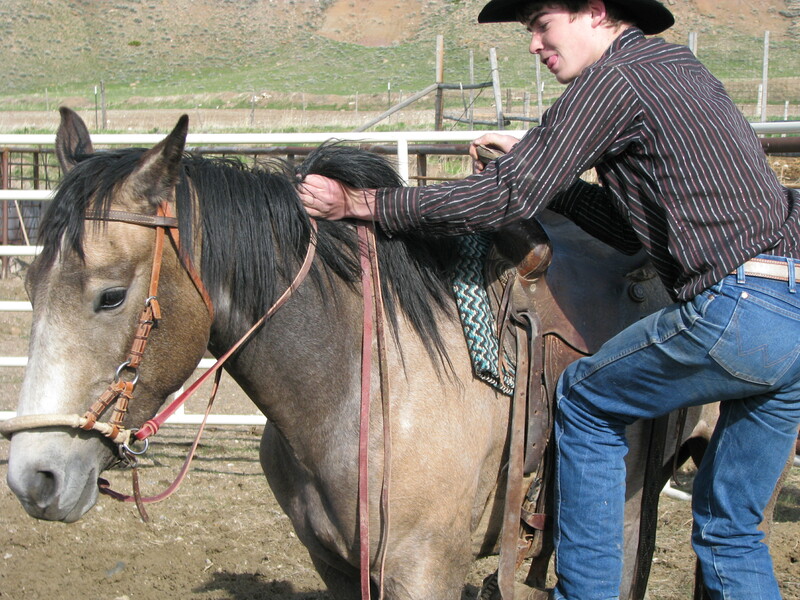 My son has not been informed of his sister’s ambitions, because he is still working on his saddle bronc riding skills. We completed our third year of the Sage-Grouse Initiative Program just in time, because cows are finally paying higher than chickens. The Meeteetse Football season wasn’t as successful as last year’s, being that their defensive man, my boy, was out with a dislocated shoulder. He is back and stronger than ever, ready for some hoops. All of us girls are patiently waiting for basketball and skiing seasons. My eldest daughter did finish her debut Cody-Night rodeo season with third place overall in the barrels, and a nice five inch buckle to boot. My husband discovered that he does enjoy doing the shopping, the cooking and the dishes when he was forced to take on my duties as well as his own. That, and he has come to the conclusion that his wife is prone to traumatic injuries. Though, after being dubbed “Dances with Cows”, I have opted to once again pursue my nursing career. There you have a recap of our 2014. We pray 2015 will be as blessed, filled with laughter, good memories and as much moisture. Stop by if you happen through Meeteetse. We understand that we are of the beaten path, so if you travel this way for chocolates from the Chocolatier you had better stop by. Wishing you a Blessed and prosperous 2015!